Since a while I have been using the Clikstand system to brew my hot chocolate when on a evening or day walk. It reminds me very much of the Trangia, but does away with the massive weight of the Swedish system. I have two of their combos, the Denali Titanium Combo and the Sierra Combo - the Denali being Titanium awesomeness and the Sierra being affordable stainless steel. The Denali Titanium Combo packed. 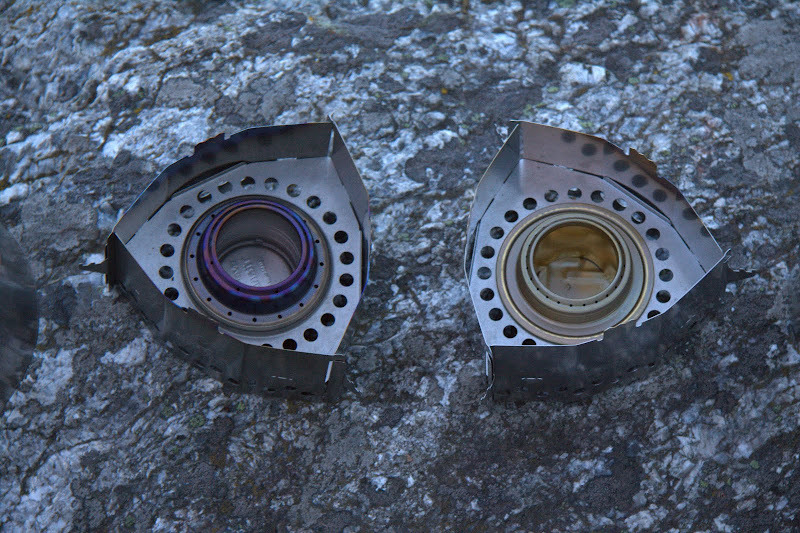 The Denali is the top of the line set, everything made of high quality Titanium, and very high build quality. The whole set fits into the 900 ml pot. And the pot would be one item where I could see improvement - I'd like to see Evernew add a spout and holes into the lid, as they have in their pasta pots. Besides that, I believe this is as close to perfection as it is possible. Quality and perfection have their price, and the Denali Titanium Combo retails for $163,95. Evernew Ti Burner in action. The Sierra Combo sells without a pot, thus adding for example the above Evernew 900 ml pot would bring the weight up to 363 g. That is about one third of the Trangia 25-3 UL set (though it has two pots and a pan) which I see as the direct competitor of the Sierra Set. Anyway, the Sierra Combo is 134 g heavier as the Titanium version - the Trangia burner alone weights as much as the Ti Clikstand, Windscreen and Burner! However, at $51,95 it is also over one third cheaper than the Ti cousin. 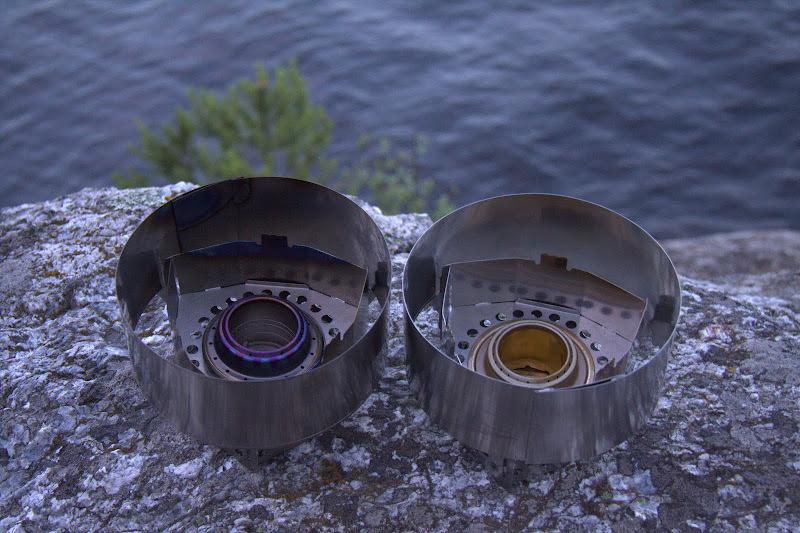 I think both systems are great for the Lightweight and UL backpacker who are looking for a lighter kitchen setup. The advantages are that the parts can be bought separate, allowing the Trangia and Evernew Burner owners to just get the Clikstand and Windscreen of choice and keep on using the burner and pots they have. 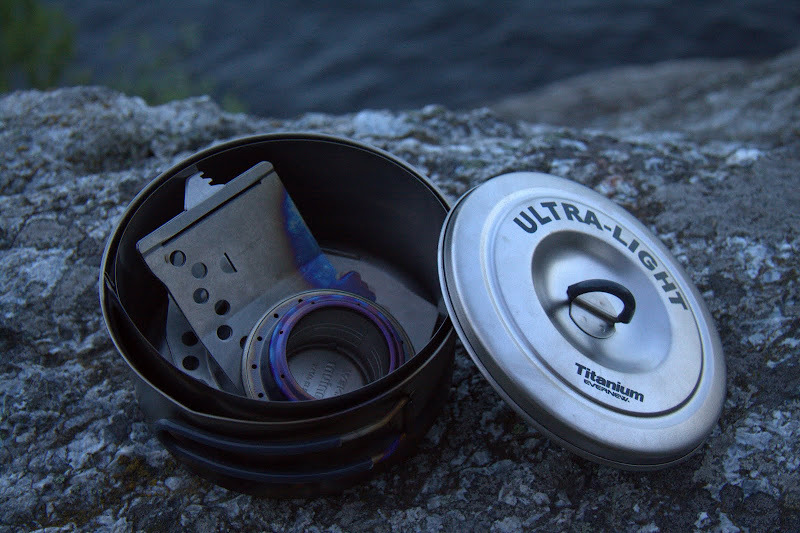 It is easier and more "normal" as some other UL cooking systems (beer cans ;), and a very stable system. 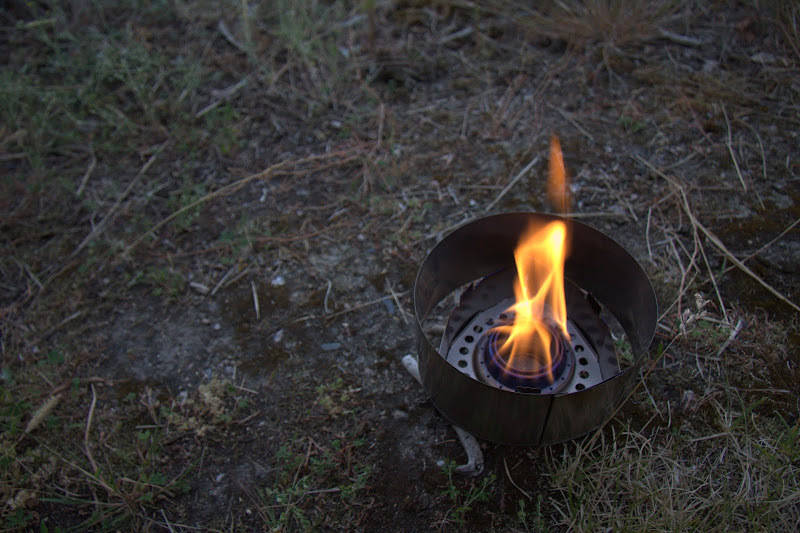 Finally, the Trangia simmer ring allows you to actually cook and not only boil water. 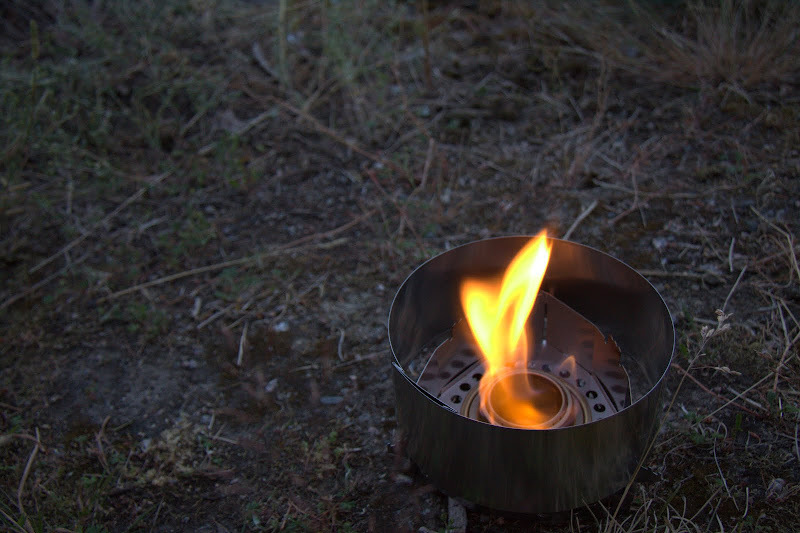 The Evernew Burner is a lot faster than the Trangia, needing about 5 minutes to bring 500 ml of cold water to a boil, whereas the Trangia needs about 7 minutes. However, the Evernew burns only 7,5 minutes with 30 ml of alcohol, whereas the Trangia goes on for 10 minutes with the same amount of alcohol. As I said in the video, if you only want to boil water as fast as possible to pour it in our freezer bag, go for the Evernew - it is the speed machine. If you like to cook and simmer in camp, go for the Trangia, which has the added benefit that you can transport unused alcohol in thanks to the closing cap.